Mek'ele (Tigrinya: መቐለ? [in scientific transliteration Mäq'älä], Amharic: መቀሌ? [in scientific transliteration Mäqälle]), also transliterated as Makale, Mekelle or Meqele, is the capital city in the northern Tigray Region of Ethiopia. It is located around 780 kilometers north of the Ethiopian capital Addis Ababa, at a latitude and longitude of 13°29′N 39°28′E, with an elevation of 2084 meters above sea level. Administratively, Mek'ele is considered a Special Zone, which is divided into seven sub-cities. These are Addi Hak'i (ዓዲ ሓቂ, also spelled Addi Haqi in English), Ayder (ዓይደር), Haddinet (ሓድነት), Hawelti (ሓወልቲ), Qedamay Weyyane (ቀዳማይ ወያነ), Kwiha (ኲሓ), and Semien (ሰሜን). This places the city in between the Addis Ababa and Dire Dawa chartered cities (astedader akabibi, equivalent to a kilil), as well as the Axum and Adigrat woredas. The city is an economic, cultural, and political hub in the Northern region of the country. Mek'ele is one of Ethiopia's principal economic and educational centers. Intercity bus service is provided by the Selam Bus Line Share Company, and its city bus service is provided by Amora buses. 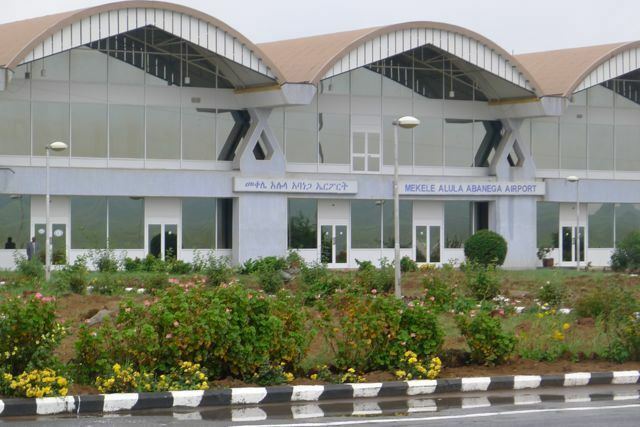 A new international standard airport, Alula Aba Nega Airport (ICAO code HAMK, IATA MQX), was opened and it has direct flights from the capital city of Sudan, Khartoum. Local industry includes Mesfin Industrial Engineering, a steel fabrication and manufacturing factory, which also has car assembly line and Messebo Cement Factory, northern Ethiopia's principal cement production facility. Both companies are owned and managed by the Endowment Fund for the Rehabilitation of Tigray (EFFORT). In May 2000, Mekelle University was created by the merger of Mekelle Business College and Mekelle University College, and a number of private Colleges and Universities located in the city are providing diploma and bachelor's degree programs. There are two primary local landmarks in this city. The Tigrayan People's Liberation Front (TPLF) monument —commemorating the struggle against and overthrow of the Derg— is visible from anywhere in the city (see photo below). The monument is over 50m high, and stands on a large mound which makes the monument appear larger than its actual size. The monument is a part of the Tigrai Centre of Martyrs Monument. The main focus of this centre is to attract local and foreign tourists, to develop the green areas, to attract investors' attention on the issues of income. Yohannes IV in the 19th century became Negus. Here he built in the city three castles and Ethiopian Orthodox Tewahedo churches with Ethiopian engineer Lij Ingidashet, also participated among the many in the work team artisan immigrant Giacomo Naretti., who had served Yohannes already. The castle complex still stands and now serves as a museum, where the Emperor’s throne, royal bed, ceremonial dress, rifles, and many other valuable historical collections, can be seen. 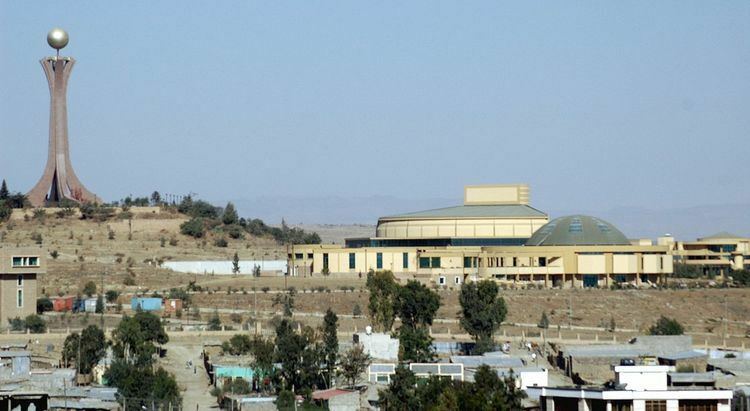 Other notable landmarks include the churches Enda Gabir, Enda Yesus Mekelle Bete Mengist, Mekelle Iyesus, Mekelle Maryam, Mekelle Selassie, and Mekelle Tekle Haymanot. Trans Ethiopia and Guna Trading are the local football teams from the city; both have been competing in the Ethiopian Premier League. A local market has been held every Monday since at least 1890. Mek'ele was founded in the 13th century. Mek'ele became one of the major cities of Enderta province alongside Entalo starting from the 1870s. Mek'ele's heyday came during the late nineteenth century, after Yohannes IV was crowned as King of Kings of Ethiopia, and chose Mek'ele as the capital of his realm. It was here that his son and heir, Ras Araya Selassie, died of smallpox in June 1888 while assembling an army to support his father. After Yohannes' death at the Battle of Metemma, his successor Emperor Menelik II came to Mek'ele 23 February 1890, where he accepted the submission of the nobles of Tigray—except for Mangesha Yohannes who had made an appointment to submit 20 days later. The Italians occupied Mek'ele from the beginning of the First Italo-Abyssinian War (late 1895) until they surrendered their half-completed fort (built on the graveyard of the church of Enda Yesus) in January 1896, following the conclusion of the Siege of Mekelle. The telegraph line the Italians constructed between 1902 and 1904 from Asmara south to Addis Ababa passed through the town, giving it a local telegraph office. Writing in the 1890s, Augustus B. Wylde described the Mek'ele market, held on Mondays, as large in size, with the "largest salt market in all Abyssinia", and cattle of all sorts available. During the Second Italo-Abyssinian War, the Italian forces of General Emilio De Bono captured Mekelle on 8 November 1935. Mek'ele was held by the rebels during the "Woyane Rebellion," against emperor Haile Selassie. After the capture of large swathes of the southern Tigray, including the outskirts of Mek'ele, the rebels had blocked the highway from Asmera to Addis Ababa on 17 September 1943. The emperor's troops evacuated their fortified position at Inda Iyesus a few days later. However, the city was heavily bombed by British fighter jets under the command of the emperor, and this is believed to have deteriorated the morale of the rebels. The open market in the city had been completely destroyed, and was later named after the rebellion Woyane. The market is until now fenced with a chain of shops with concrete tops which has a grave shape to commemorate the people who died in the market due to the bombing. The emperor's troops recovered Mekelle on 14 October, following the defeat of the Woyane in the Battle of Amba Alagi. In 1957, Yohannes IV School was one of 9 provincial secondary schools in Ethiopia (excluding Eritrea). That same year a 100-number telephone switchboard was installed at Mek'ele. The next year, Mek'ele was one of 27 places in Ethiopia ranked as a First Class Township. When the Ethiopian Revolution exploded, Ras Mengesha Seyoum was governor in Mek'ele. The Derg ordered him in October 1974 to the capital to face charges of corruption; instead he fled to the hills, where he founded a group that eventually became the Ethiopian Democratic Union. During the 1983–85 famine in Ethiopia, Mek'ele was notorious for the seven "hunger camps" around the city. These housed 75,000 refugees with 20,000 more waiting to enter. During March 1985, 50 to 60 people died in these seven camps every day. In February 1986, the TPLF released 1,800 political prisoners from the Mek'ele prison in a daring military action. The operation was named Agazi, after one of the founding fighters of the TPLF, who had been killed in the second year of the Ethiopian Civil War. In a series of offensives launched on 25 February 1988, TPLF fighters bypassed Mek'ele but took control of Maychew, Korem and other places along the Dessie-Mek'ele road. By June 1988, TPLF controlled all of Tigray except the town of Mek'ele and the territory a radius of 15 kilometers around the city. In response, the Derg had a number of villages around Mek'ele burned on June 4 and 5, which included Addi Gera, Bahri, Goba Zena, Grarot, Issala, and Rabea. It was not until 25 February 1989 that Mek'ele was also occupied by the TPLF, after the government position in Tigray had collapsed. On 5 June 1998 the Eritrean Air Force bombed Ayder School in Mek'ele during the Eritrean-Ethiopian War killing twelve. A monument commemorates this event. On 29 December 2002, a riot broke out between Ethiopian Orthodox and Adventist worshippers, over an Adventist prayer service being conducted in a stadium. Some Ethiopian Orthodox believers, upset by the display of public Adventist preaching, reportedly sparked the clashes by first throwing stones at Adventists gathered in the stadium, then by looting Adventist offices in the city. Police intervened to break up the riots, which resulted in five dead and three seriously injured. The police reported that 10 people were detained, but independent sources reported that the number was much larger. The United Nations Mission in Ethiopia and Eritrea (UNMEE) headquarters was established in Mek'ele in 2000 following the end of the Eritrean–Ethiopian War. Currently, tensions between Ethiopia and Eritrea are still high; therefore the UNMEE is still alert and active both in and out of Mek'ele. The climate in this area is characterized by relatively high temperatures and evenly distributed precipitation throughout the year. The Köppen Climate Classification subtype for this climate is Aw, as all months average above 18 °C. Based on the 2007 Census conducted by the Central Statistical Agency of Ethiopia (CSA), this town has a total population of 215,914 people (104,925 men and 110,989 women). The two largest ethnic groups reported in Semien Mi'irabawi were the Tigray (96.2%), and Amhara (2.26%); all other ethnic groups made up 1.54% of the population. Tigrinya is spoken as a first language by 95.55%, and Amharic by 3.18%; the remaining 1.27% spoke all other primary languages reported. 92.68% of the population said they were Orthodox Christians, and 6.03% were Muslim. The 1994 national census reported the population of Mek'ele as 96,938 people (45,729 men and 51,209 women). 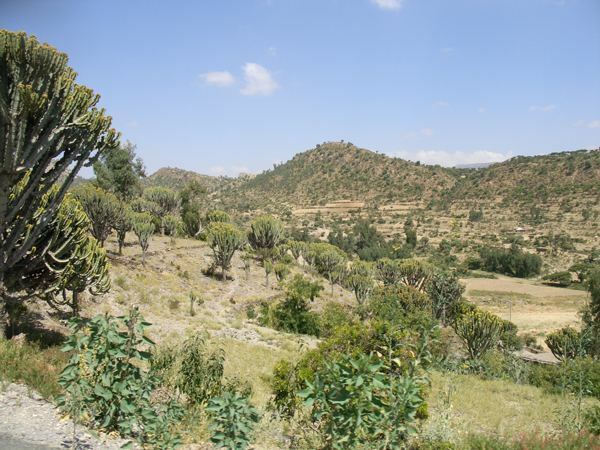 The two largest ethnic groups reported in this town were the Tigrayan (96.5%), the Amhara (1.59%), foreigners from Eritrea (0.99%); all other ethnic groups made up 0.98% of the population. Tigrinya was spoken as a first language by 96.26%, and 2.98% spoke Amharic; the remaining 0.76% spoke all other primary languages reported. 91.31% of the population practiced Ethiopian Orthodox Christianity, and 7.66% were Muslim. Concerning education, 51.75% of the population were considered literate, which is more than the Zone average of 15.71%; 91.11% of children aged 7–12 were in primary school; 17.73% of the children aged 13–14 were in junior secondary school; and 52.13% of the inhabitants aged 15–18 were in senior secondary school. Concerning sanitary conditions, about 88% of the urban houses had access to safe drinking water at the time of the census, and about 51% had toilet facilities. In 2015, Mek'ele was proposed to get a station on the new standard gauge railway system. Nejashi Ethio-Turkish International Schools has a Me'kele branch. Closys College Original Center of Excellence, serving the socio-economic needs of a diverse community.